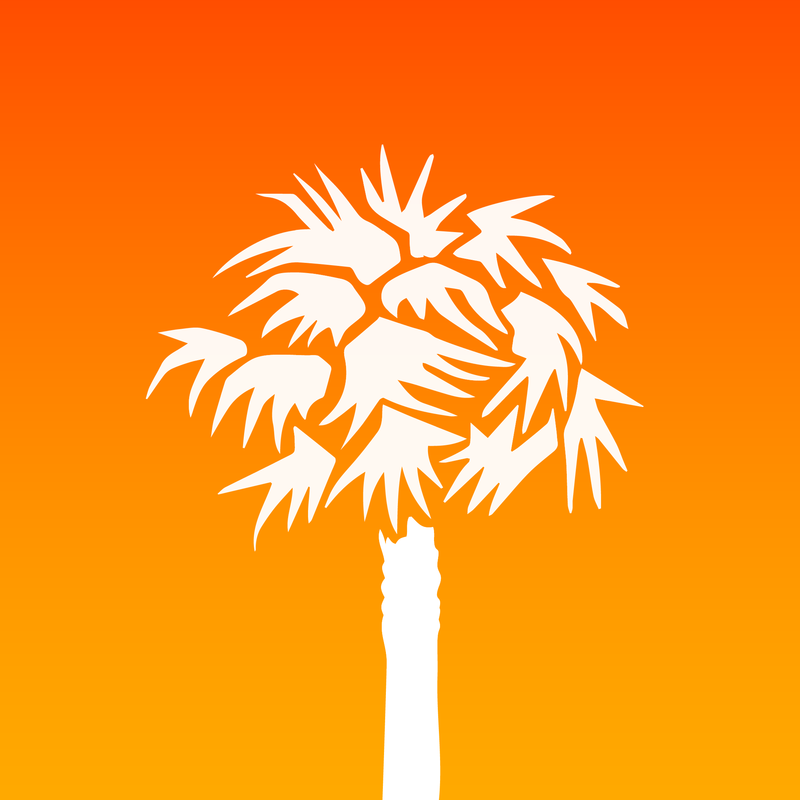 59.4% of South Carolina’s general population make up the Palmetto State’s labor force. In March, 4.5% of the labor force were unemployed. Mark the distinction: the unemployment rate is a calculation of unemployment only within the labor force population. Defined by the Bureau of Labor Statistics as “the percentage of the population that is either working or actively seeking work,” the labor force participation rate is a key metric in understanding the health of our economy. While the unemployment rate (4.5% in Mar-17) is important, it does not paint a very full picture of the economy. It’s failure to measure how many people drop out of the labor force altogether because they’ve given up on finding work and failure to act as a marker for understanding how an economy changes with population and demographic shifts renders the unemployment rate only narrowly useful. “The progressive detachment of so many adult American men from the reality and routines of regular paid labor poses a threat to our nation’s future prosperity. It can only result in lower living standards, greater economic disparities, and slower economic growth that we might otherwise expect. Since the height of the Great Recession, South Carolina’s descending unemployment rate represents a shrinking number of unemployed people in an ever-shrinking subset of the population. 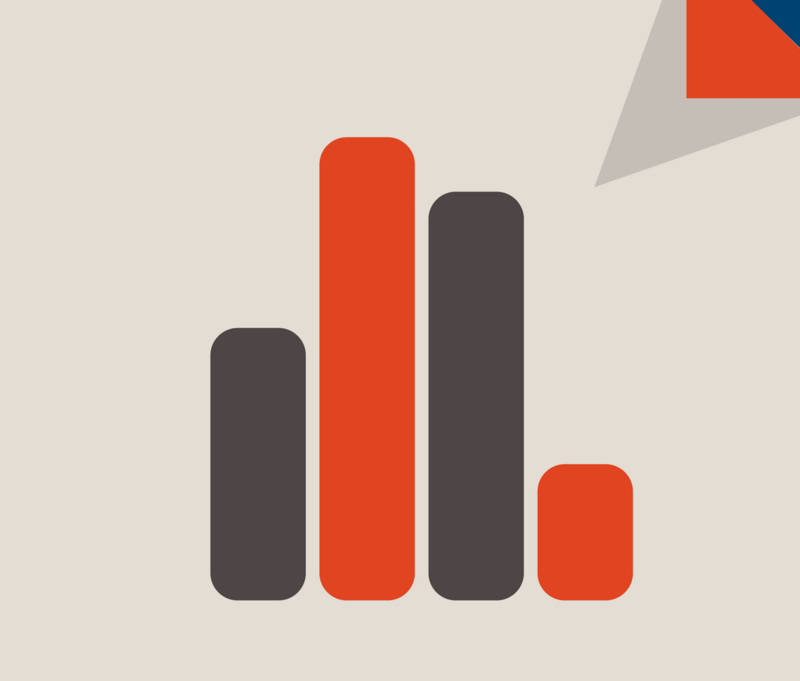 A lower unemployment rate is welcome, but it is not the whole picture. 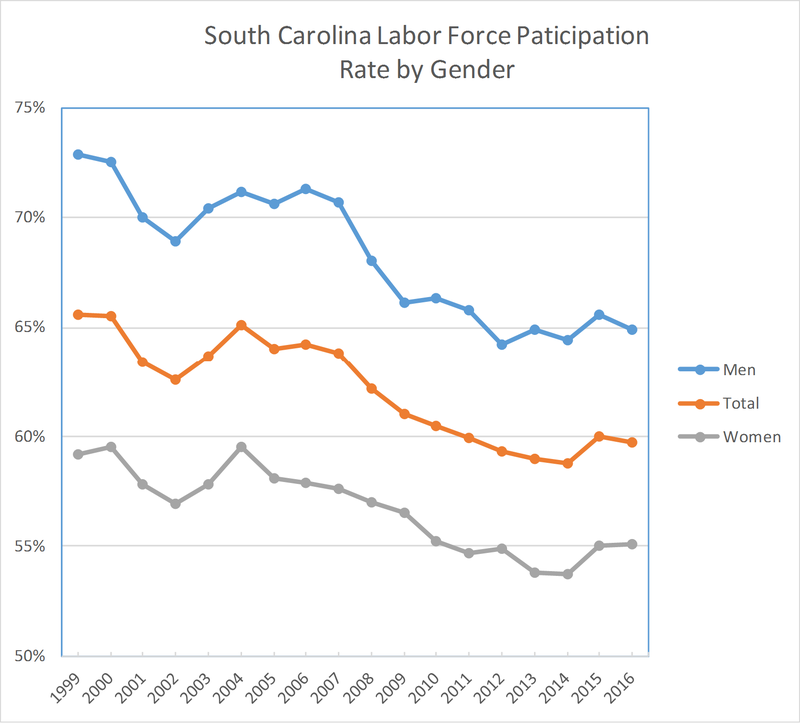 Figure 1 shows that over the past 17 years, labor force participation has been on a downward trajectory in the Palmetto State. At 59.4%, current labor participation is below the national average of 63%. 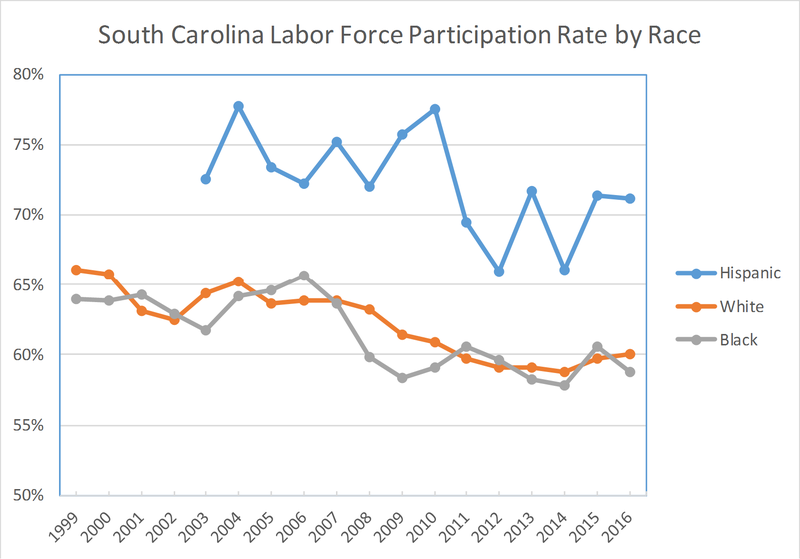 Figure 2 shows that the labor force participation rate for Hispanic individuals in South Carolina fluctuates widely year to year, but has remained higher than the labor force participation of other ethnicities. 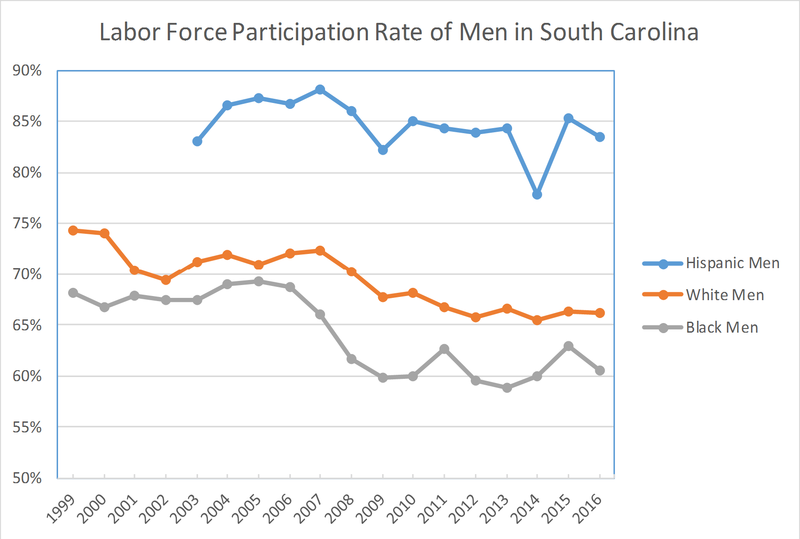 Figure 3 arranges the data to show the trajectory of the labor force participation rate of men in South Carolina. Though the overall labor force participation does not necessarily reflect it, the share of men in the labor force has steadily declined since WWII (because of more women entering the labor force and technology changes). Figure 4 shows a bit of good news for the Palmetto State. While job creation has been a priority in the Palmetto State, growing the labor force has been a stubborn obstacle. So far this year, however, the labor force has grown consecutively from December 2016 through March (figures from the month of April have not been released yet). 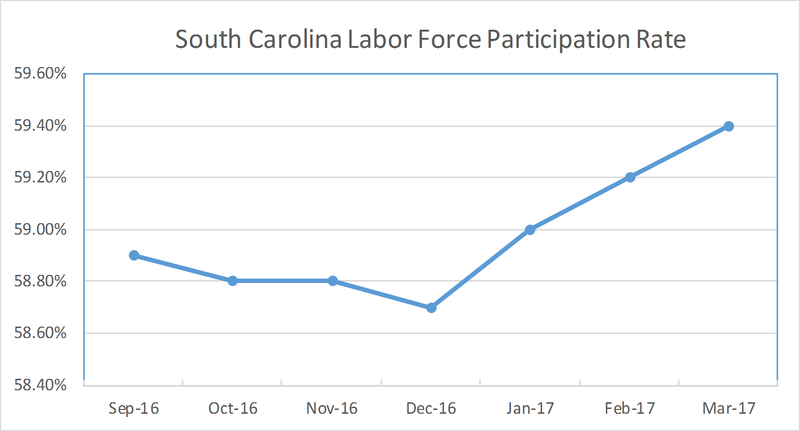 South Carolina’s labor force is an important metric to track because it offers a more complete view of the health of South Carolina’s economy. Since 2000, and certainly since the Great Recession, the percentage of individuals either working or looking to work has declined. 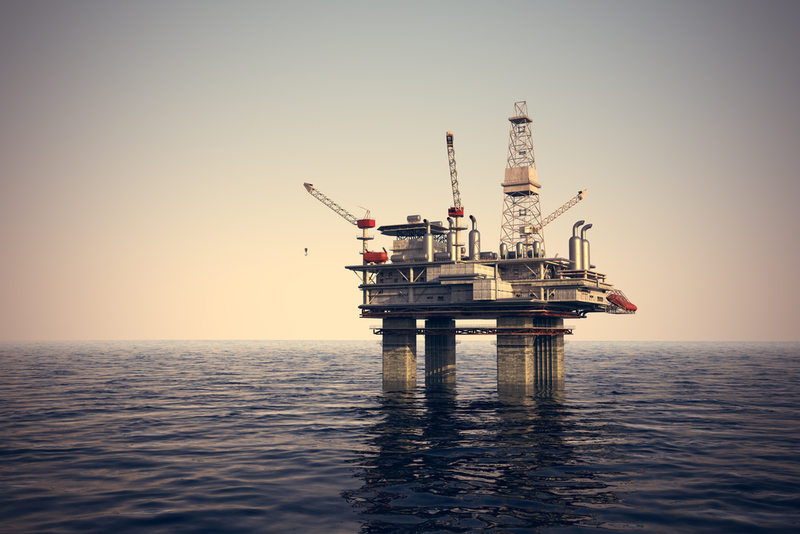 If that overall trend continues, the prospects for long-term growth and the general health of our state will look much different than if a growing labor force contributes to a robust economy. 1. Eberstadt, Nick. Men without Work: America’s Invisible Crisis. West Conshohocken, PA: Templeton, 2016. Print. 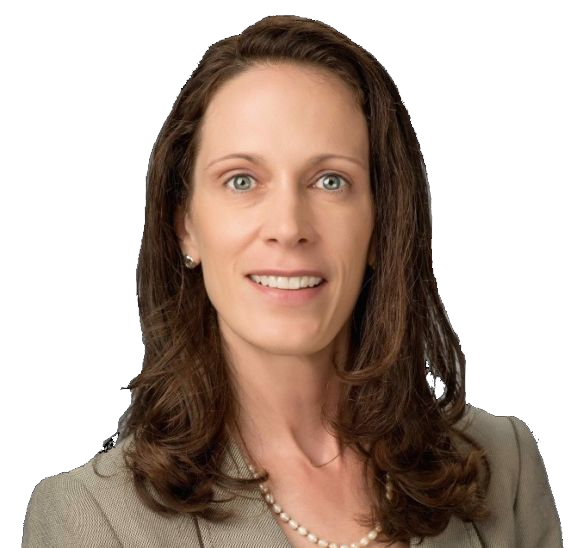 Could Tax Reform Happen in South Carolina, Too? 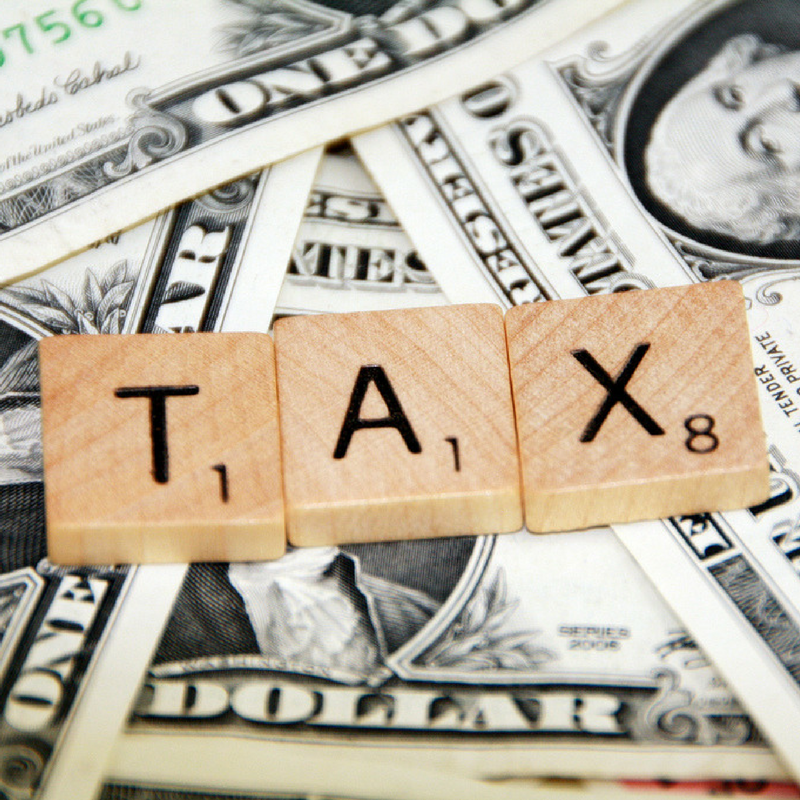 Breaking: South Carolina could fix its tax system too. Encouraging news from the Pope Committee’s recent meeting. To achieve real, substantive tax reform, policy makers need a roadmap, good information and determined leadership. The future prosperity of our state and people depends on it.